Listed below are questions we commonly get about our products and services. Scroll down to see answers to these questions. If these don’t answer your question please email us at info@thecoatingstore.com and we’ll respond as soon as possible. How can you sell these products for such a low price? Will your products hold up to the elements? How does your products compare to the name brands? Can I get my material sent overnight? Do you sell outside the United States? 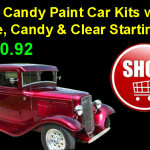 Do you mix paints to match car colors? What kind of primer do I need? Can I use my primer, clear, activator, or reducers with your paint? Do you provide samples of your product? Can you send me a color chip or color book? Do you have a product catalog you can send me? Industry insiders know there is a large mark up on name brand paints to cover cover incredible overhead generated from large sales and marketing activities. The increasing competition in the industry has led to massive marketing campaigns by the name brands in order to gain or simply maintain market share in this business segment. To fund the name brands bloated sales and marketing efforts tremendous amounts of money must be generated from paint sales to finance race teams, large advertising campaigns, give-aways of T-shirts, hats, fishing trips, spray booths, and even large sums of money in-order to win the larger shops business. Large sales forces with healthy salaries are employed by the name brands to win or maintain their market share which adds additional costs to every drop of paint you purchase. Do you really think all those give aways were free? No! You pay for them with every drop of paint whether you get them or not. Yes, but some of our products (like any company that has a wide range of products) more than others. We sell a wide range of specialty coatings and additives primarily for use in automotive exterior coatings. Comparing “apples to apples” we’d put our products up against the very expensive name products in performance. Our urethane polymer based chemistries ensures a strong weatherable resin system to maintain a gloss, and resistance to marring, cracking, flaking, chipping, and gloss burn out. Topcoat and basecoat colors are made from automotive grade pigments to ensure colors maintain color and resist fading to industry standards. 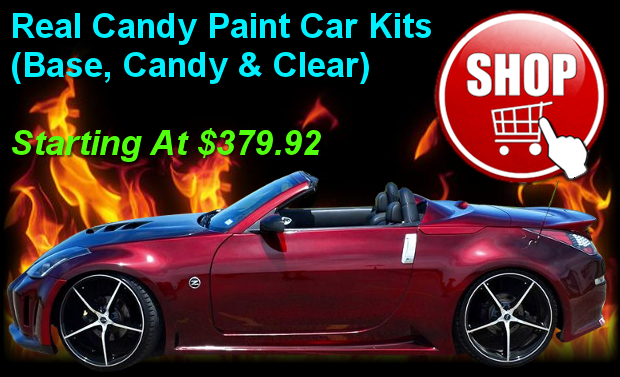 Candy paints are formulated with dyes rated on the higher end of weathering performance but do require a strong U.V. 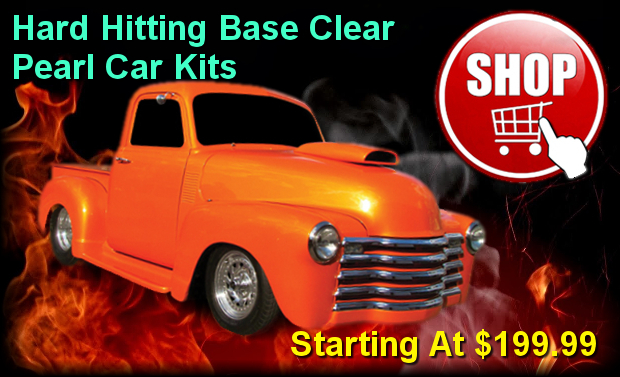 rated clear like out UreKem urethane topcoat clear to extend weathering performance. NeoFluor Neon colors and our ChromaticFever heat reactive powders are the exception. They typically have short lives (so does the competition’s comparable products) but WOW what an effect! Proper use of our epoxy primers and urethane primers will ensure excellent corrosion resistance even for damp and salty environments. In general, our base/clear systems are the best weathering, then our urethane single stages, then acrylic enamel finishes but all have a very useful service life for everyday automotive use. Our products compare well to the upper level name brand products available at your local paint store. People assume because of the amazing price of our products that the quality is like the lower end lines from the major auto paint manufacturers. However, people are pleased to find the coverage, sprayability, finished gloss and DOI comparable to the upper end (and much higher priced) brands from the likes of Dupont, PPG, Sherwin Williams, Sikkens and the like. Our unique business approach (see above) allows us to buy high quality raw materials and use higher levels of pigment (primary contributor to hiding) to ensure great products that cover fast and last long. We absolutely believe in our products and will be happy stand behind their performance long term provided they are used in the manner we describe over a known stable surface. In other words If you use our system of products for a complete repaint we will warrant the job. Contact us for details on the warranty applicable to your situation. It depends on the material. Due to the high cost and added regulatory documentation we do not ship flammable goods overnight. We can ship non-regulated goods overnight but you must let us know by 10:00 am central to have time to prepare your shipment. Feel free to contact us at info@thecoatingstore.com for more details. How much paint do I need to paint my car? The amount of paint required largely depends on the size of the vehicle, the color you choose, and the equipment and technique used while painting. 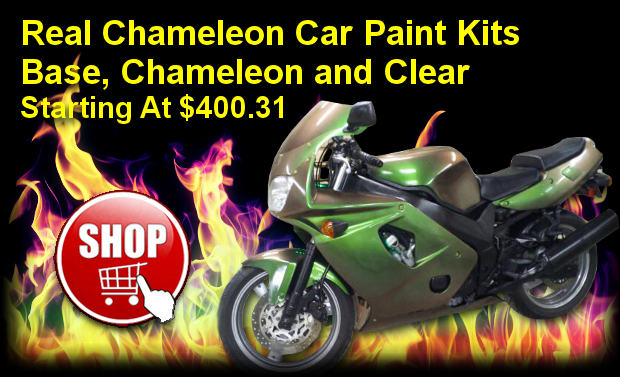 In general we recommend quart kits for painting motorcycles and gallon kits for painting the exterior of cars. In some cases it will require less than a gallon to paint a car but due to the value in buying gallons vs quarts you can get a gallon for what it costs to buy three quarts. It’s always nice to have a little left over in case of a future accidents. If you are painting the engine bay, trunk/truck bed, we would recommend and additional quart to be safe. Un-used containers can be returned for a refund less our original shipping cost. The beauty of our sales model is you can often buy a gallon of our material for what one or two quarts would cost from others. 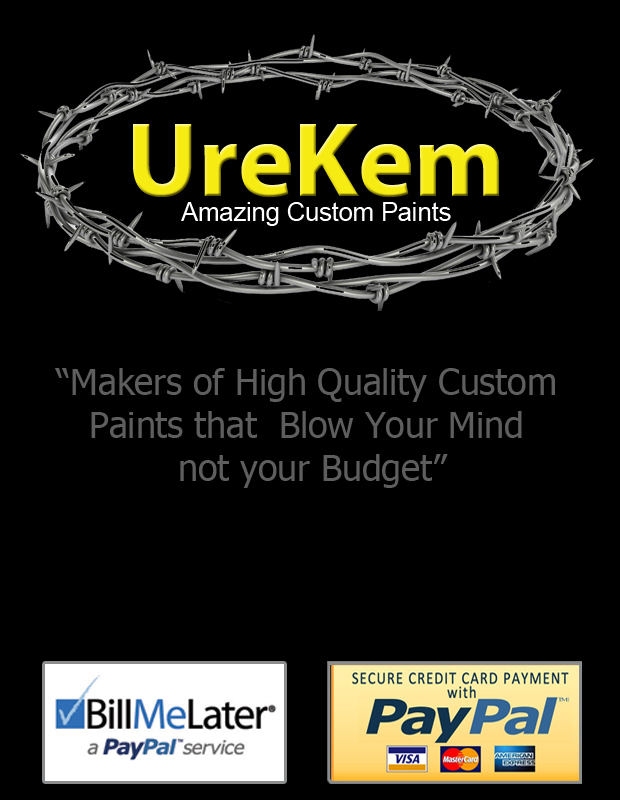 For the best longevity and long term appearance we recommend using the appropriate UreKem primer. In some cases where the paint is already in great shape a primer may not be required but even in those cases generally you end up with a better job if you at least seal the existing paint before applying color. The type of primer or primers you need really depends on the condition of your vehicle. If you have bare metal areas you need our OxyStik Epoxy Primer to ensure the best long term adhesion and corrosion resistance. If you have some body work or heavy scratches to fill and sand smooth you need our urethane primer surfacer. If you have any bare plastic you need one of our plastic primers. If your car is pretty smooth and in good shape one of our colored urethane sealers is a smart choice. It is not uncommon in repair and restoration for a professional painter to use two or more primers. If you are unsure what types of primer you need ask your autobody professional or contact us and we’d be happy to help. Can I use my primer, clear, and reducers in your paint? Maybe. Maybe not. Is it worth the risk? Our primers, clears, and reducers are often higher quality AND less expensive than what you can get elsewhere. We are not able to test our products with competitive products as a system so we can’t say for sure it will work. We know that some reducers do not work well in our base and that some cheap reducers will cause problems in our 2K products. Keep in mind your best values are on our kits that contain everything you need for your color and clear. We specialize in custom paints to make your ride stand out from the crowd. 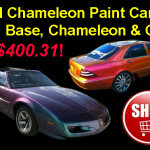 We do not make OEM Code match paints to repair damaged vehicles to original color. 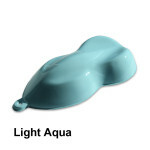 However, we have matched some popular OEM colors due to a large number of requests from our customers. 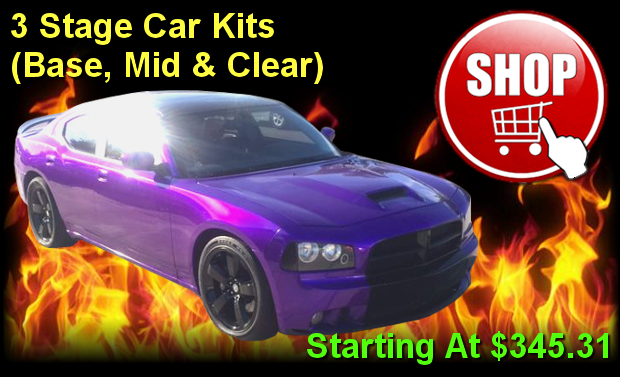 The products you view online in our web store are our standard products which does include some OEM color matches. If you don’t see the color you are looking for online let us know which color you are looking for online at info@thecoatingstore.com. If we get enough request for a color and can gather an OEM sample to match, we’ll match it and make it part of our standard offering. Do you sell to PBE jobbers? Yes! Contact us at dealersales@thecoatingstore.com for details on our programs. Combine your established store front with our internet marketing strategies to expand you business. Let’s grow together! At this time we are not accepting payments over the phone. Due to the encryption technology and support used by our 3rd party payment provider (paypal) we feel it is actually safer for you the consumer to buy online. A paypal account is not required to complete your order using your credit or debit cards. We accept electronic checks, and credit/debit cards through paypal. We currently sell primarily in the continental United States (excludes Alaska, and Hawaii) and parts of Canada where UPS ground service is available. Customers in Canada must contact us with your postal code to confirm. We do not ship liquid products outside the continental USA and Canada. However, we can ship non regulated dry goods (pearls, flakes, and other powders) world wide. If you see a powder, pearl, or flake you like to purchase and live outside the USA or Canada contact us for assistance in ordering. 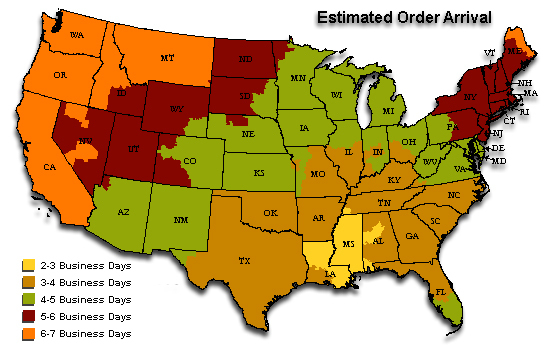 How long it takes to receive your order depends on our order volume when your order is placed and where you are located. The chart below lists some typical times from the time you complete payment till you actually receive your order at your address. For more details visit the shipping page. We do not provide samples of our products. This helps us keep our costs down which we in turn pass the savings on to our customers. If you are concerned the price seems “to good to be true” we would urge you to visit our ebay store to see the thousands of positive reviews regarding our products and services. We are currently transitioning from an older set of color books to a new set that features our custom colors. We no longer have stock of the old books and the new books are not quite ready for sale at this time. Therefore, we have no color chips or books to send. However, if you purchase a color and decide after a test panel you do not like the color you can return the material for a refund less or shipping cost. We do not currently have a paper catalog. Our online store serves as our e-catalog. For more questions regarding policies see our terms and conditions page in our store. For help regarding use of the online store visit our help page in the store. Sign up to receive news, product info, and exclusive offers by email. Enter your information below and hit enter to subscribe. 1. Does auto paint freeze? 4. What is the difference between urethane and polyurethane car paints? 5. 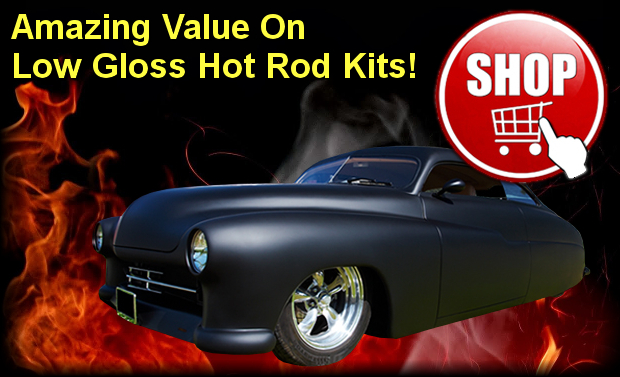 Flow Coating – Make Your Show Cars Stand Out.